Through our Home Delivered Meals Program, Blair Senior Services, Inc. provides nutritious home delivered meals to Blair County residents age 60 or older who are unable to prepare meals for themselves. A dedicated group of volunteers and staff delivers a hot meal each Monday, Wednesday and Friday. On Mondays and Wednesdays, we include a frozen meal that the consumer can use on Tuesdays and Thursdays. We prepare the meals in our production kitchen and follow mandated nutritional and cleanliness guidelines. Each meal is guaranteed to provide one-third of the consumer’s daily nutrition requirements, as determined by the US Department of Health and Human Services. The meals are certified by a Licensed Dietician and the Pennsylvania Department of Aging to ensure nutritional value. The Home Delivered Meals Program is financially supported in part by the United Way of Blair County. Seniors need adequate, nutritional food to safeguard their health, preserve their mental acuity, resist illness and disease, maintain their energy levels and manage chronic health problems. Our Home Delivered Meals Program ensures that local seniors have access to adequate nutrition even when they lack adequate family support, mobility and resources. In addition to providing homebound seniors a regular nutritious meal, sending volunteers to consumers’ homes means that our volunteers can check on the consumer’s health and well-being, and offer a warm smile. 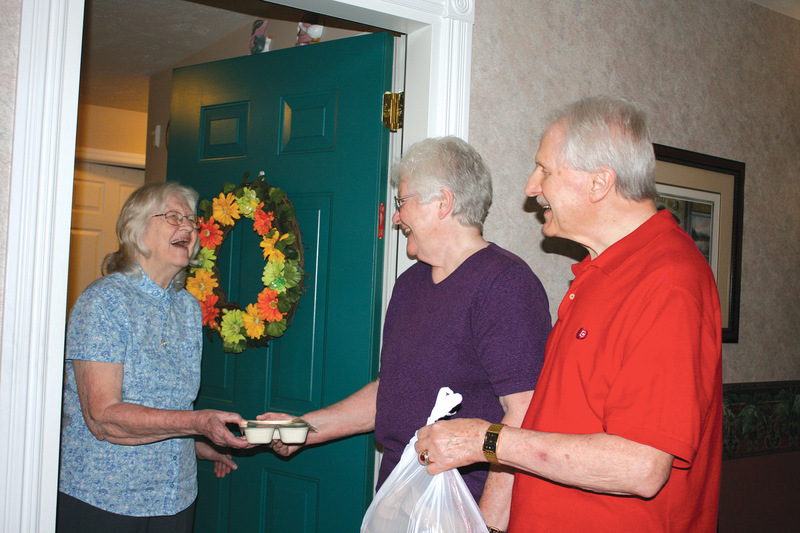 To be eligible for Home Delivered Meals, a consumer must be 60 years of age or older, and must be assessed by a Blair Senior Services’ Care Manager to determine if the consumer is homebound and unable to prepare food for themselves. 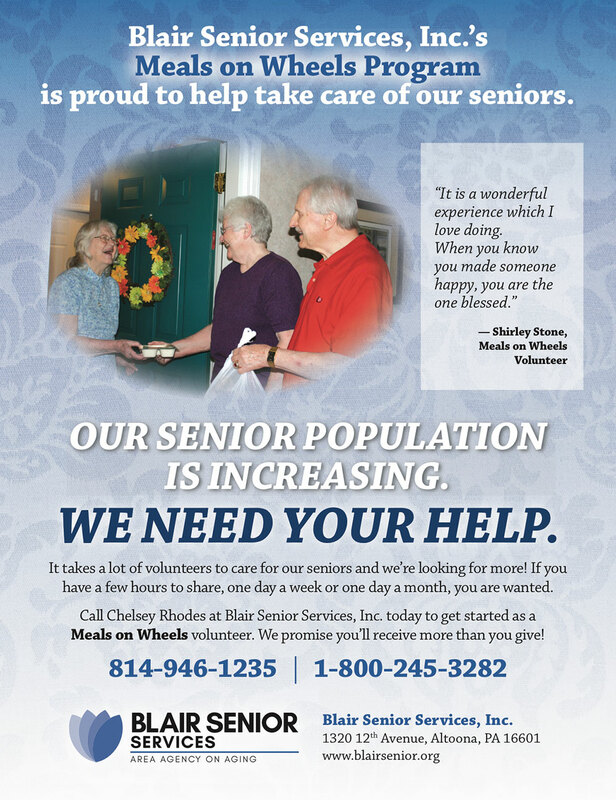 If you are interested in receiving meals for yourself or a loved one, please contact the Intake Office at Blair Senior Services, Inc. at 946-1235.